Recently I shared my six principles of delivering change at pace – in this post I focus on the second principle – ‘Take a step by step approach’ but what has that got to do with black swans? So why do we need to be open to the black swans of change? Well the importance of this metaphor lies in the fragile belief that we can predict the future based on our assumptions from the past. In a rapidly changing business environment within a dynamically changing world, a limiting belief that we can predict what lies ahead now seems flawed. And what does this mean for those multi-year, multi-million pound change programmes with detailed plans? Are they relevant or are we fooling ourselves? 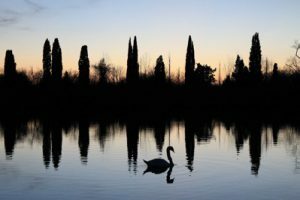 Locking down long-term rigid plans and deadlines can mean we lose sight of what’s right in front of us, the unexpected black swans on our journey. Black swans serve to challenge our thinking and assumptions, to unpick the logic of its system and reasoning. Take a step by step approach – taking smaller, time bound steps (of 3 or 6mths at a time) will allow you to adapt your change to stay in step with the ever-changing business and customer context. Small steps can make a big difference. Make continuous review and learning part of your regular practice – beware of getting stuck and wedded to a fixed way of doings things – be open and emergent, notice what works and what doesn’t and be deeply curious about the difference that makes the difference.